School System:C A Beard Memorial School Corp. 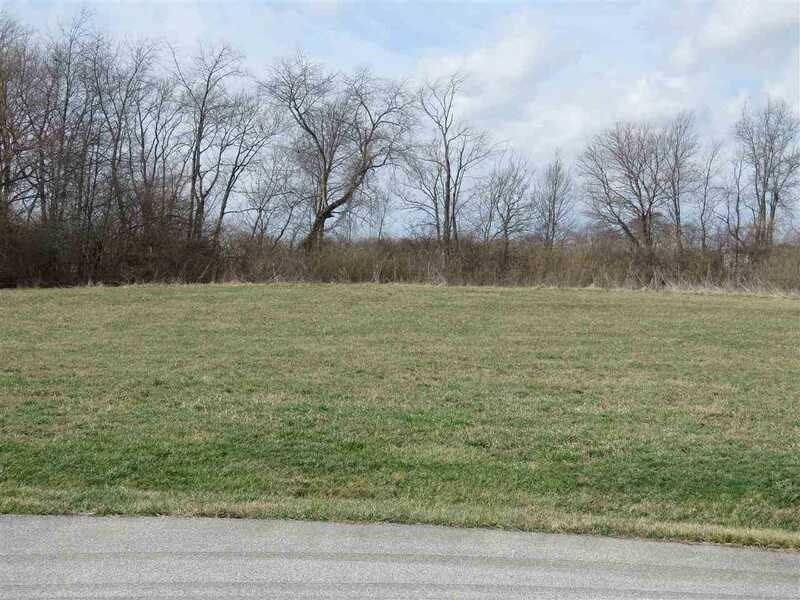 Build your dream home in Hyland Meadows, a beautiful rural subdivision offering one-acre lots. This established neighborhood is adjacent to Royal Hylands Golf Club, and is an easy commute with convenient access to Indy, Greenfield, Anderson, Richmond, or New Castle. Underground utilities at each site, including natural gas. Lot 19 is located on a cul-de-sac. Price has not changed since being added to the site on 2/28/2017. Directions: I-70/SR 109 (Knightstown Exit) South on SR 109 to 750 S. East to Hyland Meadows, then Right. I was searching for a Property and found this listing (MLS #201707894). I would like to schedule a showing for 19 Hyland Meadows Drive #19 Knightstown, IN 46148. Thank you! Listing provided courtesy of Lindsay King, F.C. Tucker/Crossroads Real Estate. The data relating to real estate for sale on this web site comes in part from the Internet Data Exchange Program. Real estate listings held by IDX Brokerage firms other than F.C. Tucker / Crossroads Real Estate include the name of the listing IDX broker. This information is provided exclusively for personal, non-commercial use and may not be used for any purpose other than to identify prospective properties consumers may be interested in purchasing. The broker providing this data believes it to be correct, but advises interested parties to confirm them before relying on them in a purchase decision. Information deemed reliable but is not guaranteed. I was searching for a Property and found this listing (MLS #201707894). Please send me more information regarding 19 Hyland Meadows Drive #19 Knightstown, IN 46148. Thank you! Home for sale at 19 Hyland Meadows Drive #19 Knightstown, IN 46148 with the MLS 201707894 on TuckerCrossroads.com. The home at 19 Hyland Meadows Drive #19 Knightstown, IN 46148 is currently for sale and features 0 bedrooms, 0 bathrooms, 0 sq. ft. of living space, and is listed for sale at $24,900. You can search Indianapolis area properties for a home, a house, a condo, or a patio home to find real estate in Indianapolis, IN. You are viewing the official Indianapolis MLS listing details of the home for sale at 19 Hyland Meadows Drive #19 Knightstown, IN 46148 which is MLS # 201707894. The home has been listed on this site for 782 days and is found in the neighborhood.